So maybe you relate. 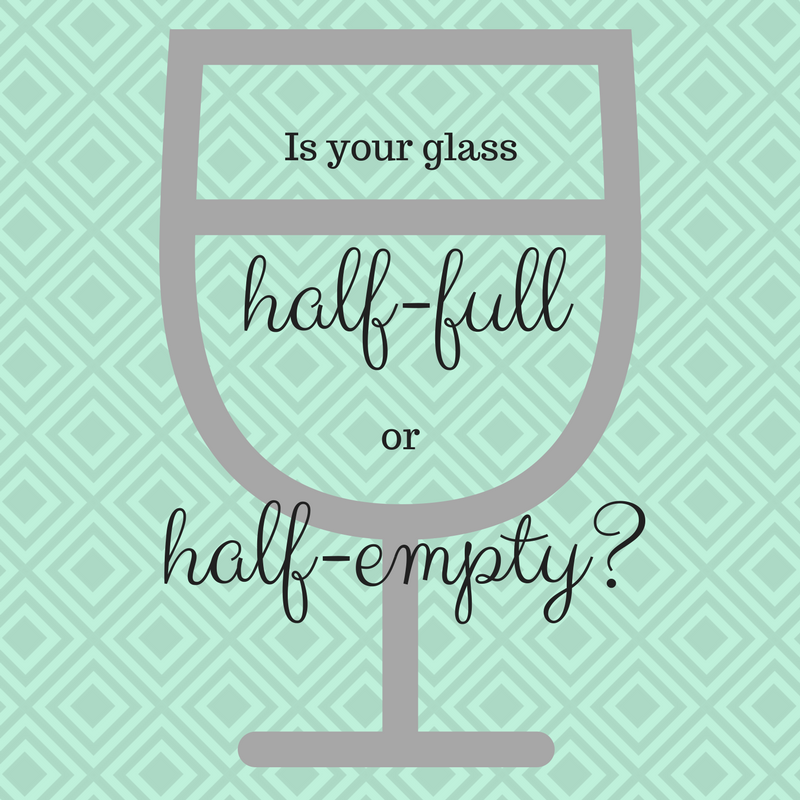 Maybe you’re a glass half-empty kinda gal like me. Do you hate it? Ironically (because pessimists hate a lot of stuff) I don’t think I do hate it. Now hear me out before you start recommending oils or shakes that will “change my life.” I don’t need to rid my body of negative toxins in order to rejuvinate my mojo so that my glass will be half-full of positive vibes. I’m pessimistic and I like it that way. Here is why: it’s what I know and who I am. I’ve always been this way. I actually would go as far as to say that it is an inherited trait. Like I was born this way. I think it would be way out of the realm of possibility for me to change my ways. Sure, I could benefit from some more positive ways of thinking. But here’s the thing, my mind will always go there. If you’re a pessimist too, or you live with a pessimist, you know where there is. You know that place, and you visit it often. I can’t help it, and really I don’t know if I have the time or energy to try to help it. This isn’t a cry for help. I am just pessimistic. Here’s the thing I try really hard not to be a Debbie Downer. I don’t tend to wallow in self-pity or complain all the time. I just always anticipate what the worst outcome could be. Once I get it out there to the universe, I feel better and I tend to move on. I’m sad when something is almost half-way over. I whole-heartedly, deep down in my soul, believe in the jinx phenomenon. I will race to the nearest piece of real wood to knock on it after saying something positive. You guys, I can’t talk about how great something is going without expecting the universe to laugh at me. You know what, I think that’s okay. I’m superstitious. I tiptoe around positive circumstances. But I keep on living. Here’s the kicker though. I married my exact opposite. I live with an eternal optimist. We don’t understand each other in the least. He used to laugh when I would proclaim that he just jinxed something by saying how well it was going. He used to think it was cute and endearing. Now he just rolls his eyes. I get it. I really do. It must seem silly that thinking your words and thoughts can affect the outcome of something when you’re so unmoved by any outcome. I don’t understand how one sees it as just a coincidence. Do you know how happy I get when the worst doesn’t happen? I’ll be the first to tell you that 95% of the time the worst doesn’t happen. It’s not the worst way to live. Here are some good things about me: I believe in signs and will try to follow them. I cherish the little things. I want to keep the good times rolling. It’s not all about cloudy days and a mopey demeanor. Although let’s be honest, we all have those days. I’m not condoning a negative attitude or bringing others down, but I’m saying can’t we let our glasses be half empty if that’s how we want them? Why is that the worst thing in the world after all it is my glass? Your glass can be half-full and you won’t see me fighting you on that. I don’t think it matters as long as you like what you’re drinking. These days I prefer a half-empty glass of wine. As a proclaimed pessimist, I sometimes miss the joy in situations. 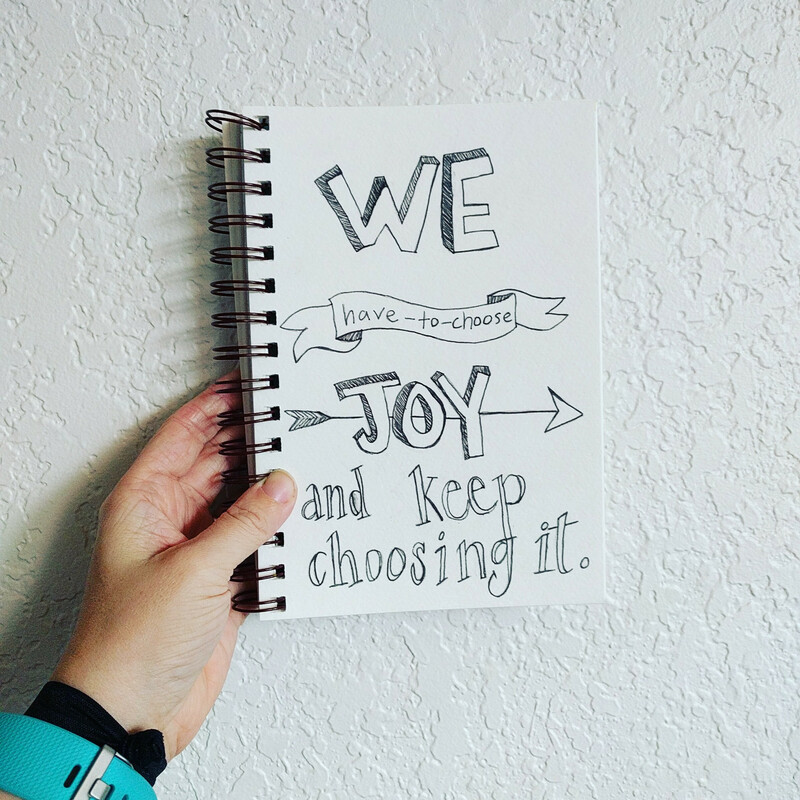 So for me, choosing joy is a constant battle. 2016 was a tough year for a lot of people, including me. I started the year with a stay in the hospital for an emergency surgery and ended the year with the birth of a baby which ended a very tough pregnancy. I spent most of 2016 feeling miserable and definitely not myself. So my focus of 2017 is just to find a place of joy again. I want to be able to experience joy no matter the circumstances that 2017 bring. But for me it must be a choice because I know it usually doesn’t just naturally happen like that. So if you’re an optimist, find a pessimist and hug them today. Let them know that it’s okay that they are prepared for the worst and that you still love them. If you’re a pessimist, hug yourself and remind yourself that you don’t need to change for anyone. But it is okay to choose joy. 10 hours of sleep in one night!